ANNAPOLIS, Md. – October 26, 2015 – Maryland's official state website, www.Maryland.gov, has again been recognized as one of the top government websites in the Center for Digital Government's prestigious Best of the Web Award competition. In its 20th year, the annual Best of the Web (BOW) awards recognize city, county and state governments for outstanding websites based on innovation, functionality, productivity and performance. The Maryland.gov website serves as the gateway to government information and provides hundreds of online services that benefit nearly 63 million visitors to the site each year. Maryland.gov provides citizens and businesses with more convenient options for interacting with government. Through Maryland.gov, citizens can find public meetings, renew their vehicle registrations, buy a hunting and fishing license, register a new business, find jobs, and much more. The mobile-friendly site features innovative personalization, live statewide social media mashups and location-driven content to enable citizens to quickly find what they are looking for on any device. In 2015, Maryland.gov was honored with five additional national awards for creativity and functionality. 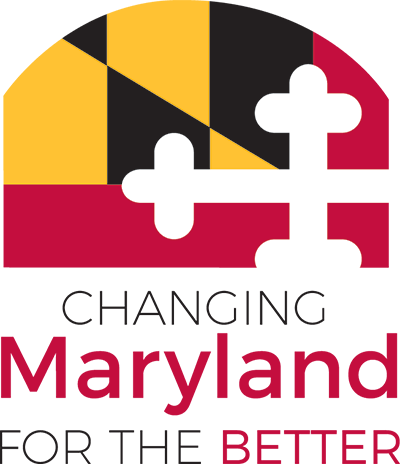 Communicator Award – Maryland.gov received a 2015 Gold Award of Excellence by the Communicator Awards, the leading international awards program recognizing big ideas in marketing and communications. Summit Creative Award – Maryland.gov received a 2015 Silver Summit Creative Award for innovative and creative concepts, strong executions and the ability to communicate and persuade. The Summit Creative Award (SCA) recognizes and celebrates the creative achievements of small and medium-sized advertising agencies worldwide. Interactive Media Award (IMA) – Maryland.gov received a Best in Class Award in the Government category from the Interactive Media Awards. The Best in Class distinction is the highest honor bestowed by the IMAs and represents the very best in planning, execution and overall professionalism. WebAward – Maryland.gov was recognized as an Outstanding Website in the Government Category by the Web Marketing Association's WebAward which is dedicated to naming the best websites in 96 industries while setting the standard of excellence for all website development. Davey Award – Maryland.gov received the 2015 Silver Davey Award for its creative and engaging design. The international Davey Awards honor extraordinary creative work from the top small firms around the globe.